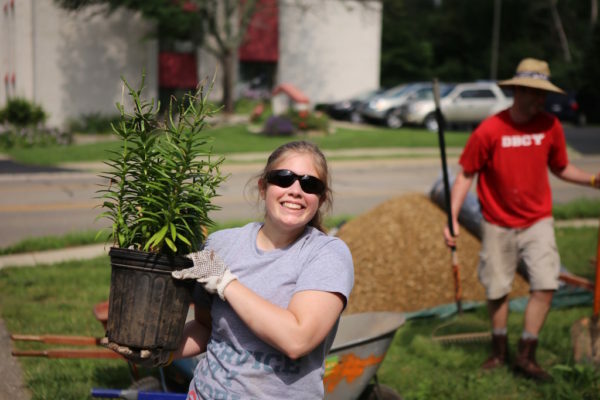 Shake-Up Kalamazoo is a service-based program for youth groups during the summer that Miracle Camp runs alongside of its Summer Camp program. The purpose of Shake-Up is to provide an opportunity for middle school and high school youth group to serve together as a group and make an impact in the community by partnering with an inner city Kalamazoo organization for 4 days of service. Shake-Up is where the biblical focus of Miracle Camp, the creative fun of summer camp, and the life-changing experiences of a domestic mission trip all come together in one. Biblical Focus of Miracle Camp: Miracle camp strives to focus everything around Scripture. What does the Bible say, what does it tell us to do, and how do we live that out? Each evening we will have a chapel session with worship and biblical teaching from a speaker. It is during these evening sessions that we will be built up through worship and an understanding through Scripture of our calling to serve so that we can go out the next morning and put it into action. Creative Fun of Summer Camp: Spend your evenings together as a group enjoying the various activities that Miracle Camp’s wonderful summers have to offer. 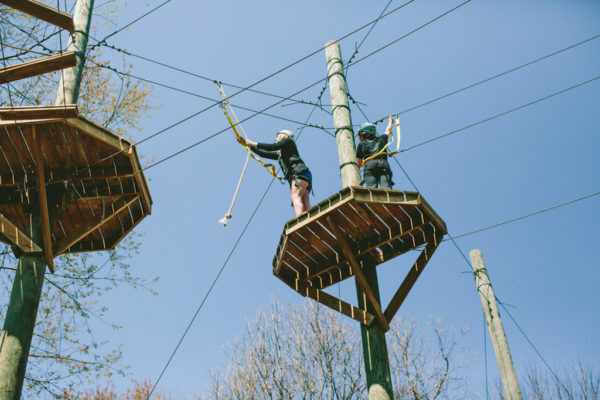 The activities that you will get to experience during your week of Shake-Up include Zipline, Tubing, High Ropes, Dodgeball, Paintball (New 2017), Waterfront, and more! Impactful Mission Trip Experience: One of the greatest things about mission trips is that in our efforts to help others out, we ourselves are often impacted just as much as they are. Whether it is building character through the hard work of cleaning, learning the importance of attention to detail while painting, or realizing how thankful we should be when we see the living situations of those less fortunate than us, your week of serving will be a sure fire way for your group to put humility into practice and be challenged to do things that they wouldn’t have to do in their day to day lives. Check Out What We Have Planned for Women’s Retreat! The dates for this year’s Women’s Retreats are April 21-23 and April 28-30. If you would like to see the speakers, price, and any other information about Women’s Retreat, visit www.miraclecamp.com/womensretreat! We still have a few spots left so make sure to register for Women’s Retreat as soon as you can to secure a spot! To register, visit www.miraclecamp.com! The Reason We Love Man Camp. As a pastor, and one in the process of planting a church, I am personally thankful for the lengths Miracle Camp goes to make all feel welcome. Regardless of background or where people are at in relation to Christ, MC knows the power of genuine hospitality. And that’s what I love about Miracle Camp. I could speak that to Joe without doubt or hesitation. I knew he would experience the welcome and embrace of Christ without judgment or being singled out. Sure enough, the Lord used that weekend to remind Joe and every man with us, that He has created them to be men. Men who enjoy Him and his creation without the need for any substance to compliment the experience. It is stories like this that keep us motivated in doing what we do at Miracle Camp. With still more registrations to come in, we are already over 700 men who are registered across our four spring Man Camps who will be coming to experience a weekend just like Nate and his group did last year. If you would like to register for one of this year’s Man Camps, visit www.miraclecamp.com/mancamp! Man Camp Work Projects: Get Your Chainsaws and Hammers Ready! 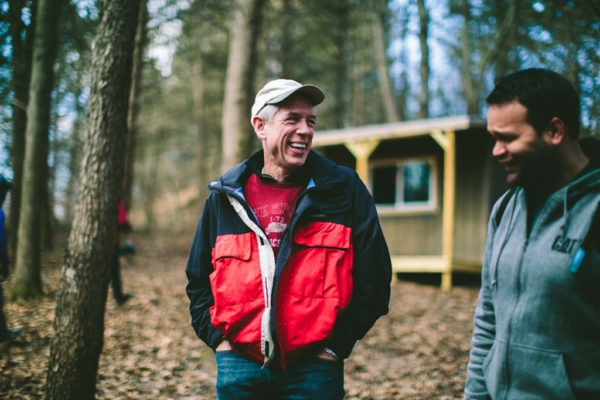 Every year, there are numerous men who come up to Man Camp a day early for our work day and give their time to help make various improvements around camp. These projects through the years have ranged from putting new roofs on our buildings, to making improvements to our zipline tower, to building a new trap shoot range last year. We have been able to accomplish some amazing things with the gracious help of men who have volunteered during our Man Camp work days. Our operations director, Larry Wyse, is in charge of all of the grounds and maintenance and is our staff member who directs all of the work and projects during those days. Larry has been working to line up several work projects for our expected volunteers to work on during our four Man Camp Fridays in which work projects will be taking place. A large portion of the work that needs to be done this year is cutting down and cutting up trees to make room for some of our upcoming projects including the renovation of Evergreen. While a lot of the focus will be spent on the various areas that we need wood being cut and moved, here is a more thorough list of projects that Larry has on the docket. All projects, of course, are dependent upon weather, number of volunteers, experience of volunteers, and timeframe of projects that take priority. The more volunteers we get, the more projects we can complete and the faster our staff can move onto future projects! Coming to the work day is not an extra cost, you will get breakfast, lunch, dinner, and a mid-morning coffee and donuts break, and you can come in Thursday evening or Friday morning. If you would like to be a part of this great experience to help continue to improve Miracle Camp, email info@miraclecamp.com to let them know and we will fill you in on more details and get you connected with Larry.